The Dominican Republic Global Film Festival (DRGFF) is celebrating the six Oscar nominations of one of this year’s participants, “127 Hours” which was shown in the Dominican Republic this past November. The Dominican Republic Global Film Festival (DRGFF) was pleased at this past Tuesday’s six nominations of “127 Hours” which included the nomination of James Franco for Best Actor in a Leading Role. The film, shown at November’s DRGFF, also received nominations in the categories of Best Picture, Best Adapted Screenplay, Best Film Editing, Best Original Score and Best Original Song. Other participating films in the November 2010 DRGFF to receive nominations include “Restepo” and “Waste Land” in the category of Best Documentary and “Rabbit Hole” in which Nicole Kidman was nominated for Best Actress in a Leading Role. Film Director Danny Boyle’s “127 Hours” was shown at the Pedro Mir Library of the Autonomous University in Santo Domingo and in the Film Palace at the Blue Mall. With the original music of A.R. Rahman and Boyle’s and Simon Beaufoy’s screenplay, the film tells the story of mountain climber Aaron Ralston who, after a fall, caught his hand between two narrow rock walls. Ralston used all his skills and experience as a mountain climber but was ultimately forced to take extreme measures to extricate himself. Ralston, while caught between the deep crevice, taped his ordeal with his own video camera which he’d brought along to record his trip. 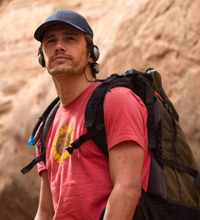 In addition to James Franco, other “127 Hours” crew members include Clémence Poésy, Amber Tamblyn, Kate Mara, Lizzy Caplan, Kate Burton and Darin Southam. 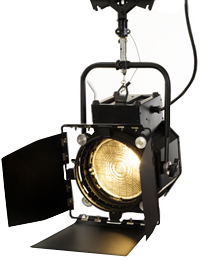 Every year, since its first edition, the Dominican Republic Global Film Festival, celebrates the annual Oscar nominations with great satisfaction as a number of participating DRGFF films are generally nominated for Oscars.